Created in 2013, by beauty editor Kate Shapland, Legology is a premium beauty brand dedicated to making your legs look gorgeous. It helps care for your legs at every step of your beauty regime, with the Exfo-Lite Leg Scrub to prep and revitalise your skin, the Air-Lite Daily Lift Leg Cream to reduce tiredness and fatigue and the Sun-Lite Sheer Lingerie Tinted Leg Cream to give your legs a perfect finish. 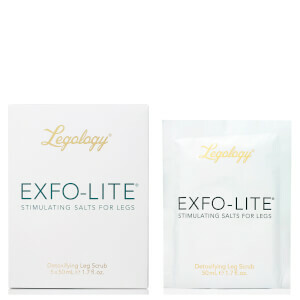 Discover the range of products and get ready to bare your legs with Legology.